Origo created a video that helped educate engineers and designers on the benefits of composites when manufacturing different parts, enticing them to make an educated recommendation toward composite solutions. The video was used at the SEP Automotive Composite Conference & Exhibition, as well as other trade shows around the nation, helping to successfully connect our target audiences to Hexion’s composite solutions. Create a brand video for the automotive composite segment of Hexion, introducing composite solutions as a superior manufacturing material at the SEP Automotive Composite Conference & Exhibition. 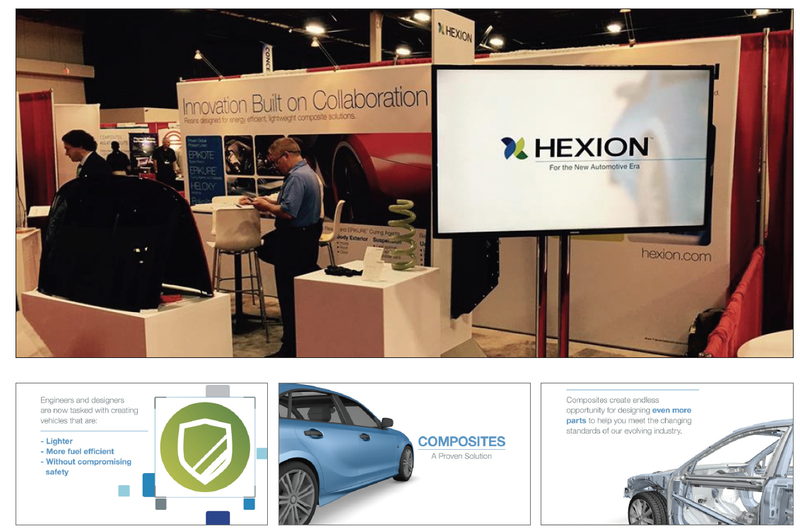 Utilize the facts, information, and educational materials given by the Hexion team to create an engaging storyline that educates our audience of automotive engineers and designers about the different products within the automotive composite section of Hexion, generating a new premium sales tool. Utilize motion graphics, live footage, and photography to create a video that reflects the benefits of automotive composites, as well as delivers our messaging points in a compelling approach to engineers and designers. Along with the conference, the video will also be created in a way that can be utilized in other presentations, marketing initiatives, and online sales strategies in the future.